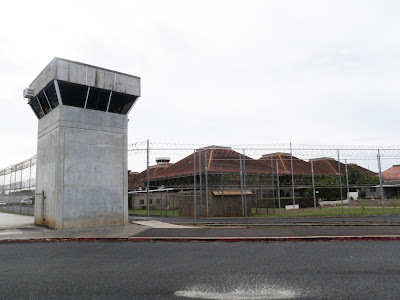 Measures aimed at overhauling Hawaii’s troubled criminal justice system by making it more efficient and shifting resources to efforts that promote rehabilitation and reduce recidivism — under a program called the Justice Reinvestment Initiative, was projected to help reduce the state’s inmate population by more than 900 by the end of fiscal year 2015 — and eventually lead to a reduction of 1,010 inmates by fiscal year 2018. But, as of May 31, Hawaii’s inmate population stood at 5,998 — merely 62 fewer inmates than in June 2012. Civil Beat. A growing number of beginning teachers in Hawaii public schools are staying on the job longer, past the critical five-year mark experts say most likely determines whether a teacher will stick with or part with the profession. Star-Advertiser. The Hawaii Board of Education will be broadcasting live audio of its Tuesday meeting, a new initiative aimed at increasing the accessibility and transparency of meetings. Civil Beat. The Federal Communications Commission has interrupted the monthly subsidy payments it has provided to Hawaii telecommunications company Sandwich Isles Communications Inc. for more than a decade in the wake of federal criminal convictions of company founder Albert Hee, according to federal records. Star-Advertiser. Tom Yamachika Commentary: A Classic Example of Procurement Run Amok. The Hawaii Department of Health doesn’t seem too worked up over a finding that it allowed an original bid of $76,400 to balloon into a $525,000 final bill. Civil Beat. Those overseeing Honolulu’s rail project worked on multiple occasions — and with various advocates — to sharpen their message for an eventual rail-tax extension well before it was publicly announced that the transit project faced a nearly $1 billion budget shortfall, documents show. Star-Advertiser. The Honolulu Authority for Rapid Transit (HART) trumpets a reduction in traffic congestion on Honolulu’s crowded streets and clogged freeways as the primary benefit to the multi-billion dollar rail project. But, while the project is still years away from completion, statistics on the contributing factors show that congestion will only get worse in the mean time. Hawaii Independent. Noise levels would determine whether a bird owner in a residential zone should be penalized for creating a public nuisance under a new proposal being offered by City Councilwoman Carol Fukunaga. Star-Advertiser. Some merchants in Chinatown want to increase business by serving alcohol in public places. But a number of residents strongly opposed the measure and it appears the Honolulu City Council is on their side. Hawaii Public Radio. Children growing up on the street is unfortunately becoming a common sight across our island. An issue that has many wondering why these kids are allowed to live this way. Hawaii News Now. While the homeless situation in Kakaako is getting much attention, there is a business off Nimitz Highway that’s faced the problem for years. KHON2. The Honolulu City Council is urging the Hawaii Community Development Authority to uphold its "glass rule" for projects in Kakaako with regard to San Diego-based developer OliverMcMillan's Symphony Honolulu mixed-use condominium tower, according to public documents. Pacific Business News. A ban on smoking at the University of Hawaii at Manoa campus is in effect starting Monday, according to school officials. Hawaii News Now. Movie Theaters Inspecting Bags, Packages. The policy appears to have been prompted by recent attacks on the mainland over a two-week period in July and August. Civil Beat. A Hawaii agency is moving ahead with its plan to go entirely off the electrical grid by developing its own microgrid system, according to public documents. Pacific Business News. Big changes are coming to Hawaii County’s flood zone maps following a multi-year effort by the U.S. Department of Homeland Security’s Federal Emergency Management Agency to update the maps to better reflect flood risk. West Hawaii Today. In an unusual confrontation between established island Democrats, two-term County Councilman Greggor Ilagan from Puna is running for the state Senate seat now held by Russell Ruderman, setting up a potentially fierce primary contest that would be a study in political contrasts. Star-Advertiser. Demand for dental services at the new West Hawaii Community Health Center in Kealakehe has been so brisk in a single month that Kevin Nietzer, the facility’s dental director, said it’s time to look into hiring more staff. West Hawaii Today. When it reopens sometime this fall as the “Market at Kalani,” customers will be able to find everything from locally grown produce to home and health products, with the retreat leveraging its buying power with vendors to make it an affordable and abundant shopping center. Tribune-Herald. The public can soon expect to have a much easier time finding out who is a registered lobbyist in Maui County. The Board of Ethics voted unanimously last week to post the list on its website. It’s unclear when that will start. Civil Beat. Another wide-load convoy carrying telescope equipment is expected to head to Haleakala next week, with protesters apparently planning some kind of "action" again after 20 people were arrested two weeks ago during another wide-load transport. Maui News. The Maui County Liquor Control Commission has until Oct. 1 to define dancing at establishments that serve alcohol, providing hope for dance enthusiasts who have been fighting restrictions for nearly a decade. Maui News. Maui County is seeking $160,000 from condo, vacation rental and timeshare owners to help fund a study into ways to keep their beachfront property from washing away. Star-Advertiser. The leaky Old Wailuku Pool is showing its age and may require an expensive repair job, the county Department of Parks and Recreation director said Friday. Maui News. The Kauai Planning Commission has voted unanimously to approve a request from an investment group for a time extension to submit demolition permits to rebuild the shuttered Coco Palms Hotel on Kauai. Star-Advertiser. Environmental regulators will solicit public input in Hanalei this week about a new management plan for Haena State Park that calls for controlled entry, a 900-person daily visitor cap and beach access by way of an elevated boardwalk. Garden Island. Kauai Community College’s newest satellite location stands among the taro fields below the green, waterfall-covered mountains of Hanalei. Garden Island. Congresswoman Tulsi Gabbard is the featured speaker at the next Kauai Chamber of Commerce luncheon. Garden Island.